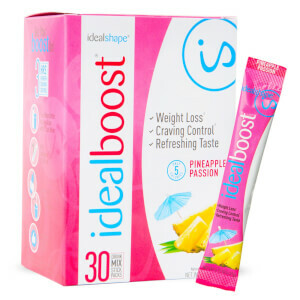 IdealBoost is a convenient, powdered drink mix that delivers healthy energy combined with an appetite control blend which blocks hunger for up to 3 hours! 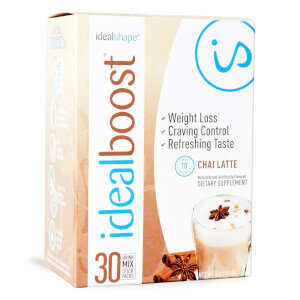 With only 5 calories per serving and a delicious flavor, IdealBoost is the perfect substitute for coffee, soda, or your favorite sugary drink. Not sure which flavor you love the most? With this exclusive variety pack, you get 4 all-time classics in the same box! Mix things up with 5 servings each of Peach Mango, Pineapple Passion, Black Cherry, and Peach Raspberry. I am not a fan of these new flavors. They are very strong and I am not a fan of peach. The pineapple passion is horrible! Please bring back the raspberry citrus. That is by far the best! The overall product is good far as suppressing your appetite I will say, but it has a very inquiring taste. It packs a powerful taste, and I order the variety to try out the different flavors, instead of buying just one. Maybe, I should've used it with a shaker to mix it up but to regular stir it with a spoon it doesn't clear all the residue I would say from the powder. The drink doesn't have a gritty taste I would say, to for sure drink cold and me it's an excellent alternative to juice. If I had to choose for taste to welch's light or crystal, I would prefer those as a substitute for juice, but for suppressing appetite, I would use this product. 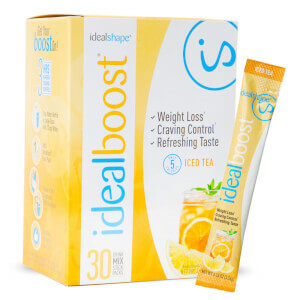 This product is a great alternative to soda and tastes great. I work nights at a desk job, so this helps me to stay awake and not eat as much!! Am getting ready to order more. 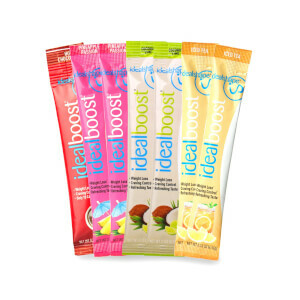 I absolutely LOVE IdealBoost. I'm not a morning person and usually don't find time for breakfast, so I throw one of these in my waters and I'm usually good until lunch. I will say, I really wish they'd get the Peach Mango flavor back. I keep buying the variety pack just to get it, even though it's more expensive. I get the same jitters as I do from coffee, so experienced the "jolt" of energy that is described - it works. If you don't respond to coffee this way I don't imagine you would respond to this in a jittery way either. The Peach Raspberry had mediocre flavor. Drinkable, but wouldn't purchase again. really enjoy this product...……..great taste enjoy drinking water with a flavor. cuts appetite more energy, will definitely order more. Tastes great & gives me just the right amount of energy to 'do a little more' without over doing it. I get more done, walk a little further, & am able to exercise with less strain. I like the extra energy without the caffeine "high" & "drop". I ordered a second box!